If this were Shakespeare we might find our performers to be spirits melted into thin, thin air, for we know nothing about them. 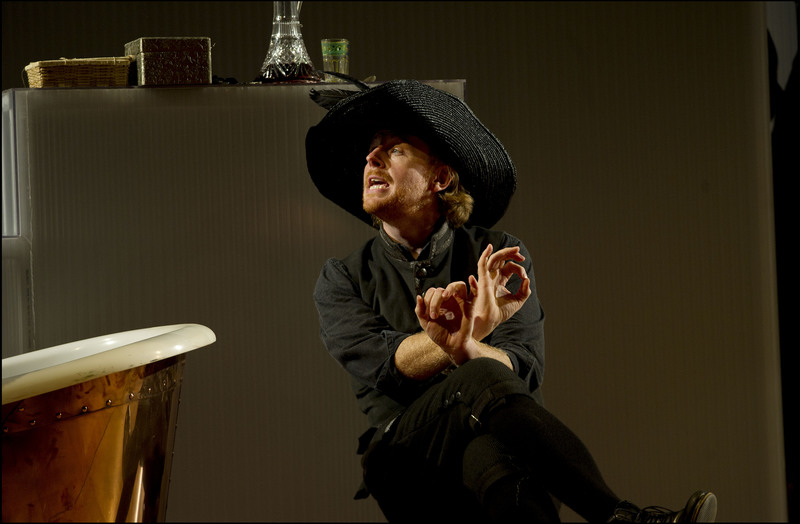 They are ciphers on which Mozart and his librettist Da Ponte created a piece of theatre at once frivolous and profound, expressing a joy, playfulness and inanity inherent to life itself. 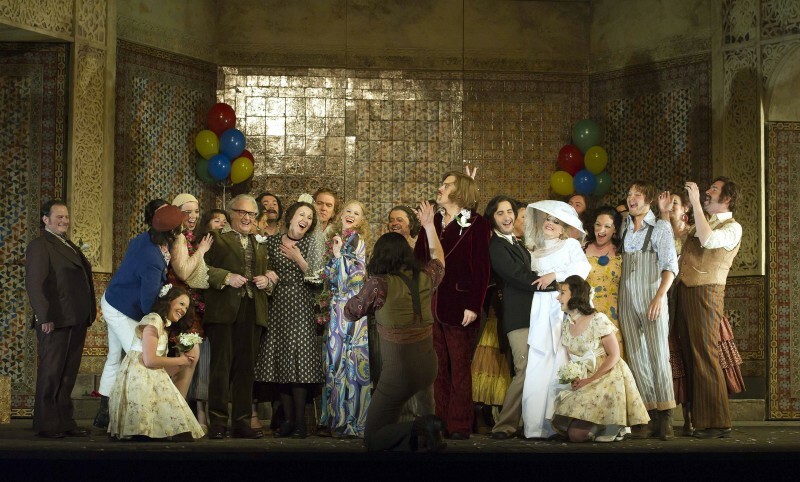 The music avoids easy resolution, and although the opera’s finale contains one, there is no redemption. 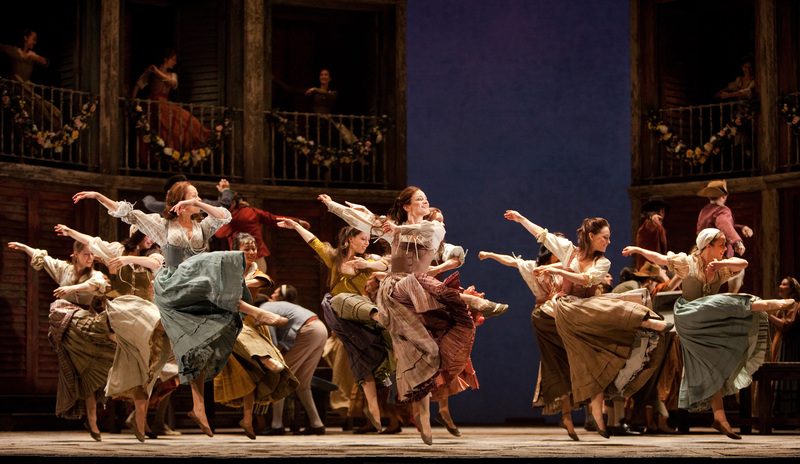 Don Alfonso wants to teach his young friends Ferrando and Guglielmo a lesson, and bets them that their lovers Dorabella and Fiordiligi will surely prove unfaithful if given the chance. Helped by Despina the maid, he proves his point — as the title implies, they like others will all do the same. 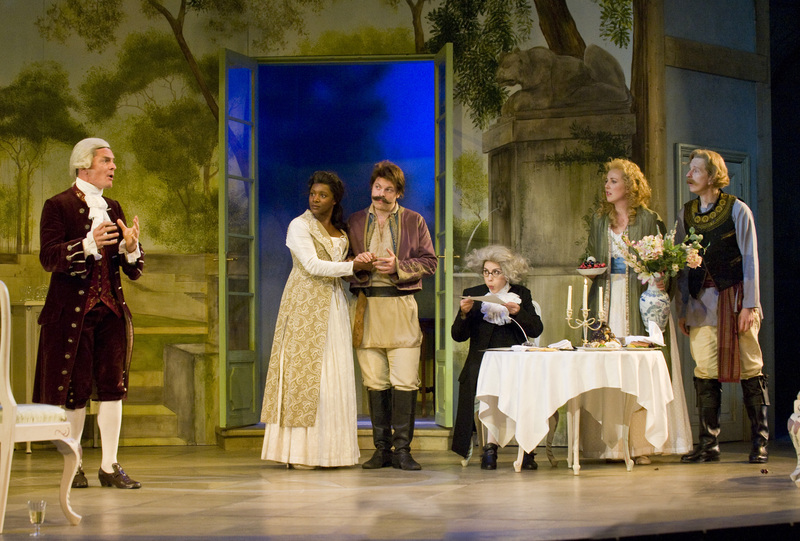 Considered at one time a heartless farce with heavenly music, Così fan tutte is now a staple in the Mozart repertoire and some reckon it to be one of the greatest operas ever. 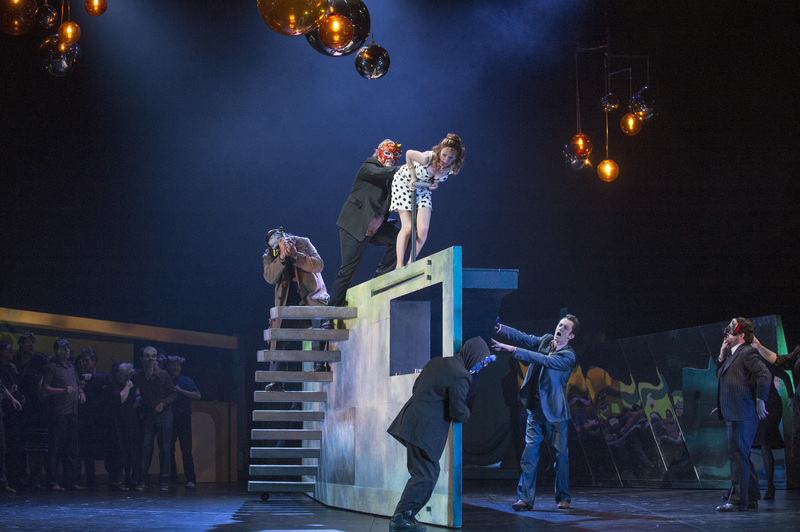 This clever ETO production by Paul Higgins, with its simple but very effective designs by Samal Blak, juxtaposes reality with artificiality, allowing the audience to use its imagination. 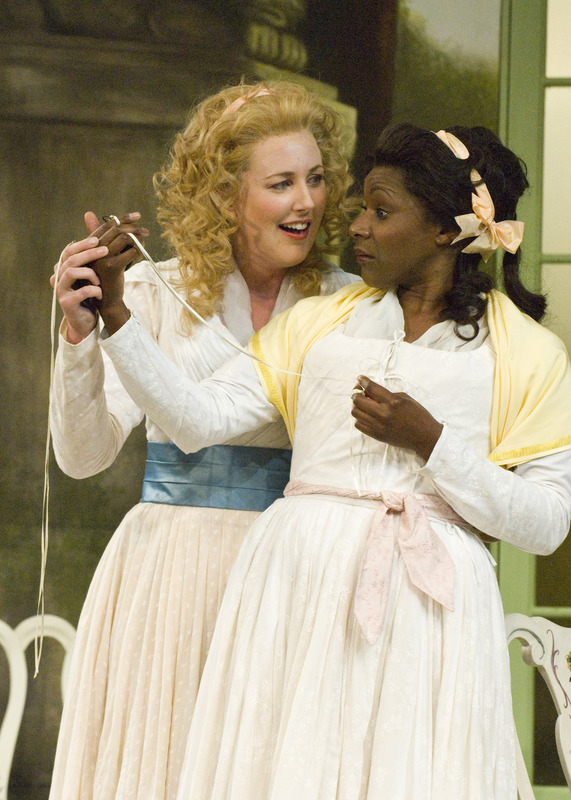 It all starts during the overture with a dumb play expressing hidden feelings and ambiguity, behind a gauze, and the same technique is used to great effect later in partially hiding a pair of lovers. Then at the end the performers quietly change positions on the stage during the sextet, reflecting the fluidity of their feelings, despite contrary protestations of outraged pride earlier in the opera. The lovers carried it all off with a delightful mixture of frustration and vivacity. 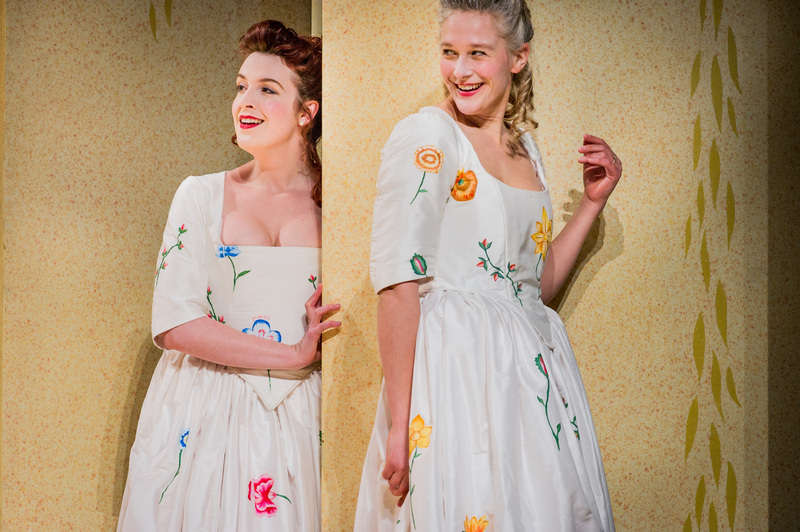 Laura Mitchell and Kitty Whately as Fiordiligi and Dorabella, and Anthony Gregory and Toby Girling as Ferrando and Guglielmo all sang beautifully and I particularly liked Kitty Whately’s lyricism and the clear boldness of Anthony Gregory’s voice. Paula Sides as Despina was suffering from whiplash that presumably constrained her movements, but one would scarcely have known it, and her performance had a fine devil-may-care attitude showing the maid to be far more knowing than the shallow young ladies she serves. She drew great applause for her early Act II aria, and her singing, and that of the excellent Richard Mosley-Evans as Don Alfonso, was a delight. Hearing this in Martin Fitzpatrick’s wonderful translation, with clear diction from the singers, provided an immediacy with no need for the intervention of surtitles, and James Burton in the orchestra pit brought out fine and well nuanced playing from the orchestra. Altogether an unadulterated joy. 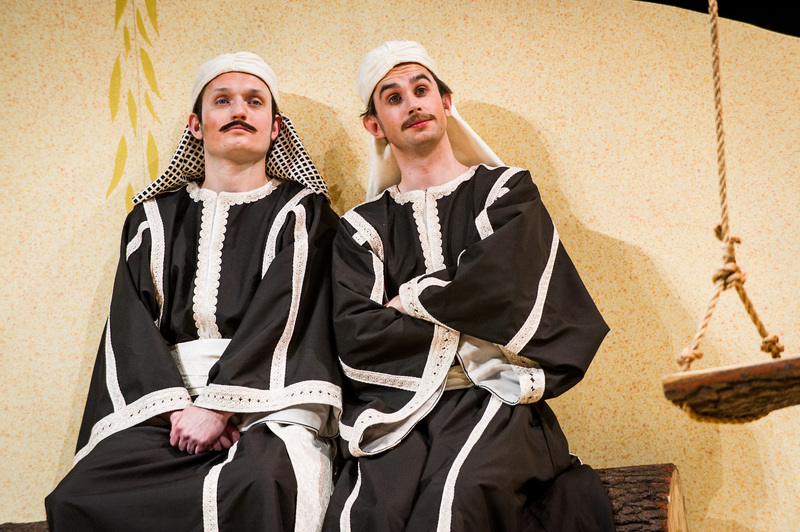 Performances continue on tour at: Curve Theatre, Leicester, 11th Mar; Churchill Theatre, Bromley, 15th Mar; Exeter Northcott, 19th, 20th Mar; Norwich Theatre Royal, 25th Mar; The Hawth, Crawley, 2nd Apr; Lighthouse, Poole, 5th Apr; Lyceum Theatre, Sheffield, 8th Apr; York Theatre Royal, 11th Apr; Wolverhampton Grand Theatre, 15th Apr; Snape Maltings Concert Hall, 18th Apr; Gala Theatre, Durham, 22nd Apr; Buxton Opera House, 25th Apr; Everyman Theatre, Cheltenham, 30th Apr, 4th May; Warwick Arts Centre, 8th, 9th May; Perth Festival, Perth Theatre, 18th May; Cambridge Arts Theatre, 23rd, 24th May; G Live Guildford, 27th May — for details click here. 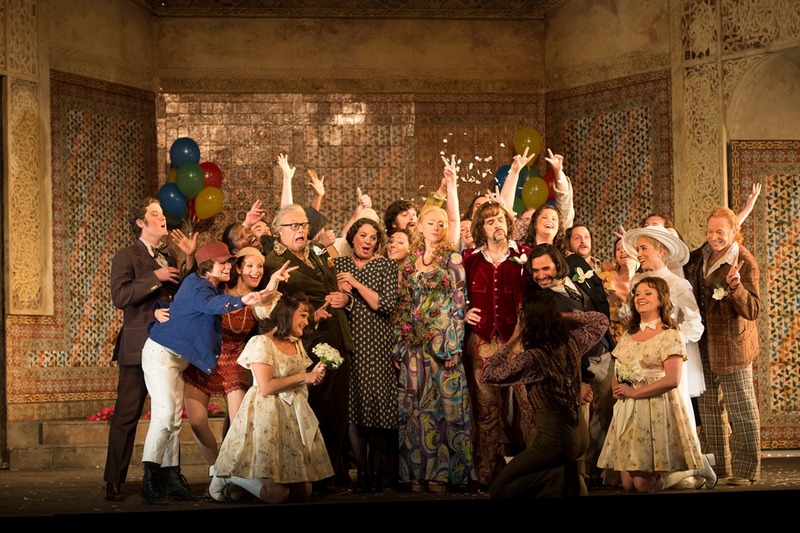 This was a second hit for Opera Holland Park this season — a great team performance bringing Così fan tutte fully to life. 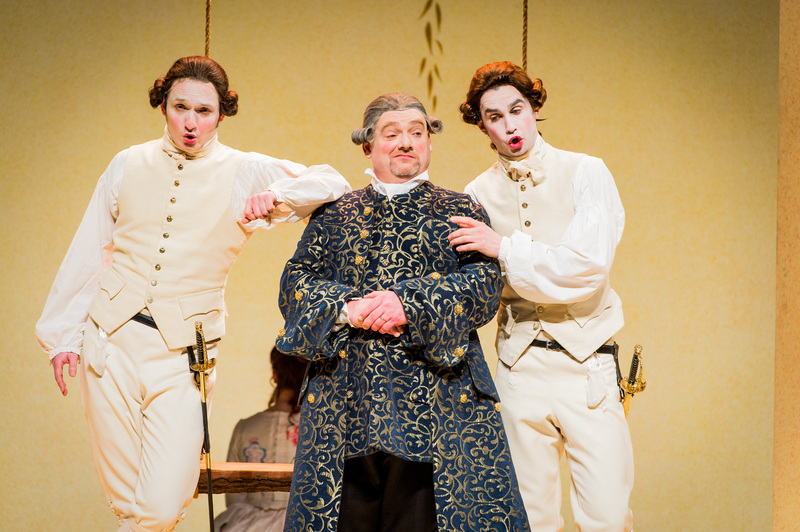 Fine eighteenth century designs by Alex Eales, plus a cheerful sunny set in the centre of the stage, were accompanied by the chorus as an on-stage audience, and bright lighting design by Colin Grenfell that showed surprising changes at the end. 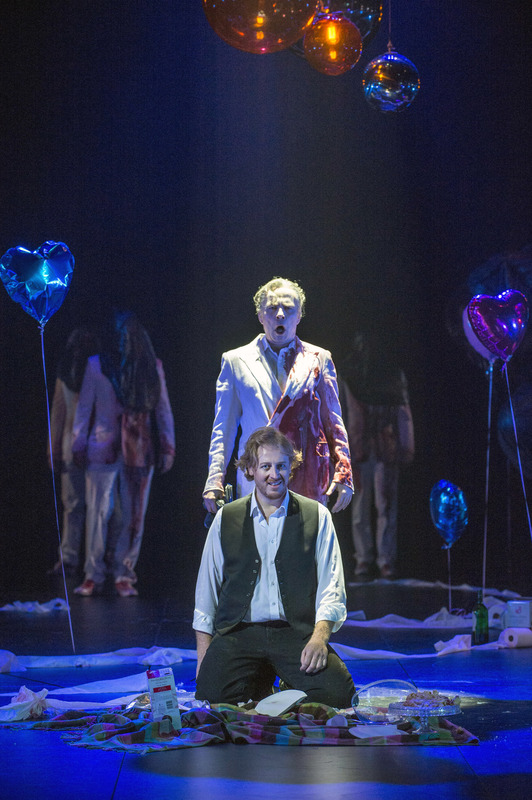 This production by Harry Fehr gets to grips with the wittiness of Mozart’s opera by being perfectly serious, but with a lightness of touch. The performers interacted perfectly with one another, the singing was a delight, and there was plenty of drama, from Dorabella baring her cleavage in lamentation during the early quintet in Act I, to Fiordiligi rolling on the floor in emotional agony after her Per pieta in Act II. 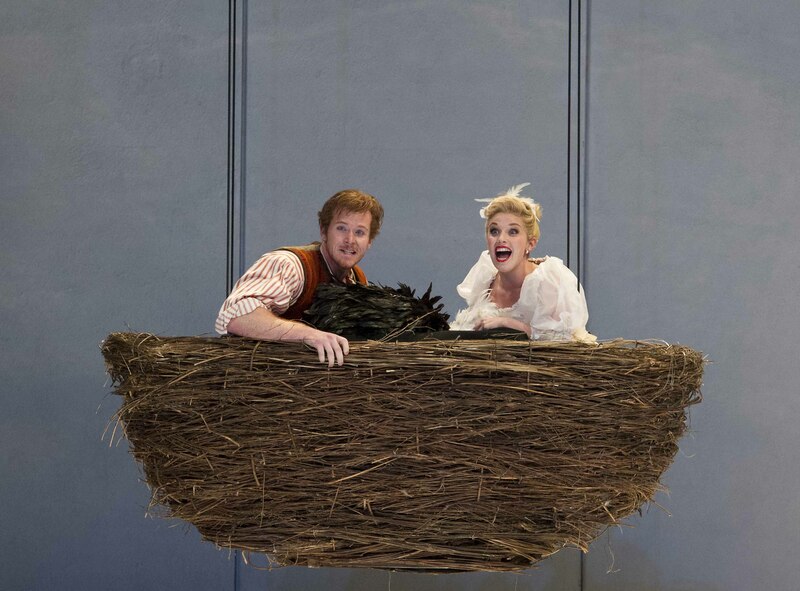 This opera runs a fair gamut of emotions, from the lovely trio Soave sia il vento, wishing gentle winds for the young men who have been unexpectedly called away for military duty, to those moments of musical discord that are left unresolved. 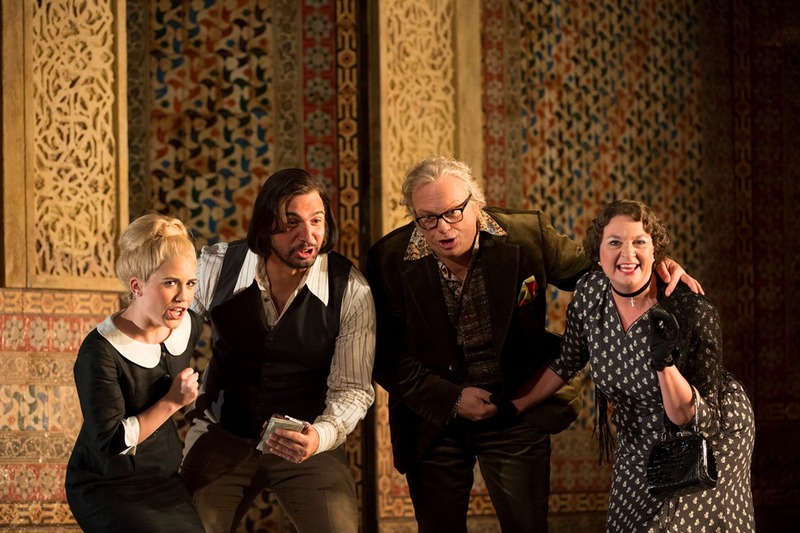 Elizabeth Llewellyn was terrific as Fiordiligi, first coming into her own in Act I when she orders the lovers, disguised as Turks, out of the house, after which the others calm her down, fanning her with napkins, and she launches into Come scoglio immoto resta. Defiantly confirming that nothing can change her devotion, she showed real power, particularly on the top notes. Julia Riley as Dorabella sang beautifully and her acting was just as convincing in this female role as I have seen her in travesti roles. Joana Seara as the maid Despina was a delight, immediately brightening things up on stage with her charmingly resentful Che vita maladetta (What a cursed life). Her subsequent aria casting aspersions on the faithfulness of men and soldiers was very well done, and in her Una donna a quindici anni at the start of Act II, when she says that a fifteen year old girl should know the wiles of love, she accompanied her words with suitably coquettish gestures. 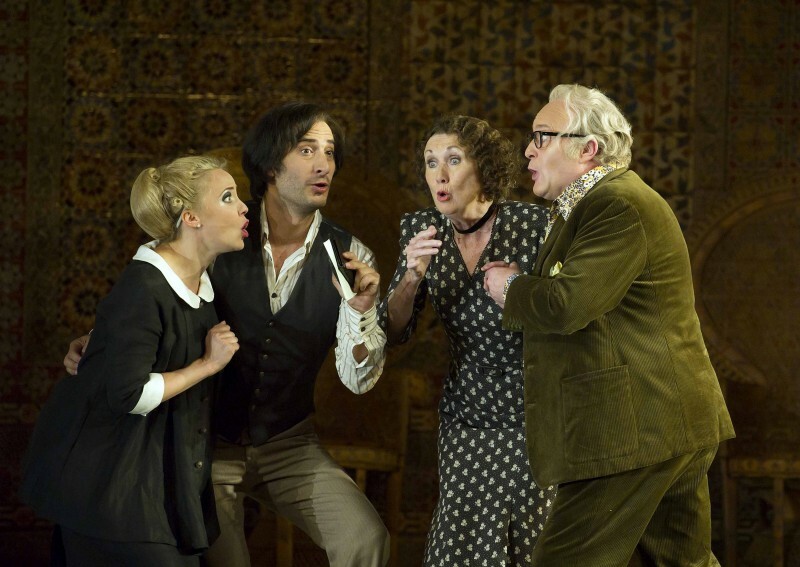 Nicholas Garrett, who sang Don Giovanni at Holland Park two years ago, was a fine Don Alfonso, relishing the game he plays with the two young men, and his scheming with Despina. 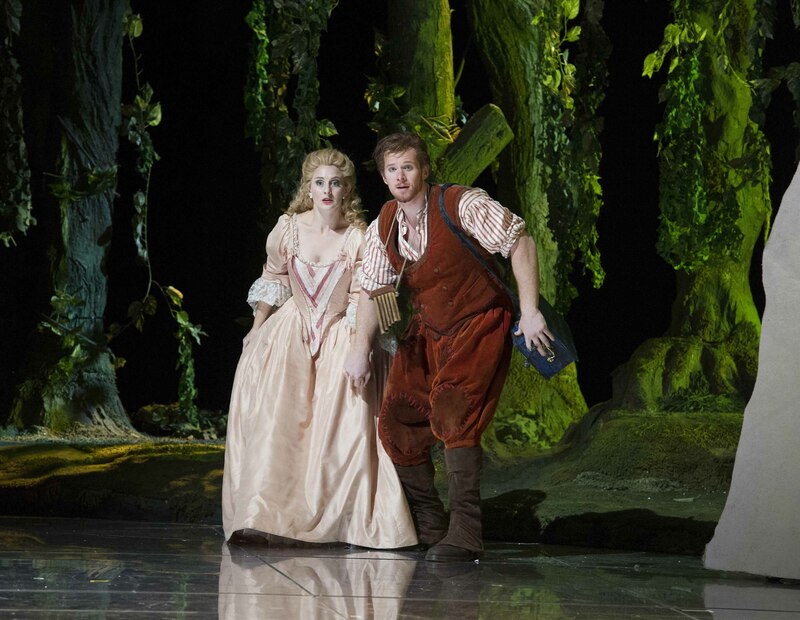 Dawid Kimberg sang well as Guglielmo, and his duet with Julia Riley as Dorabella in Act II was terrific. Andrew Staples as Ferrando delivered a beautiful Un’aura amorosa in Act I, and became suitably upset in Act II as he built up the emotion during In qual fiero contrasto, lamenting the turmoil in his own thoughts. Thomas Kemp, conducting the City of London Sinfonia, gave fine support to the singers, letting the music breathe, and allowing Harry Fehr’s production to work its magic. 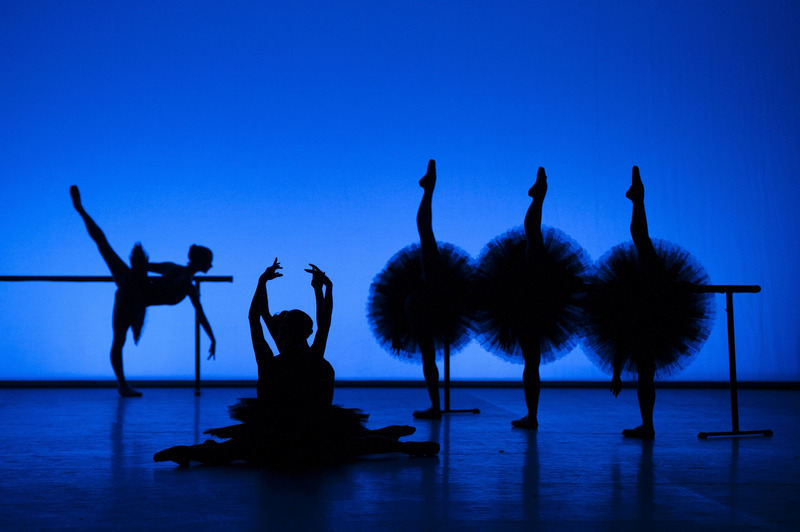 Performances continue until July 7 — click here for details, and note that evening performances start at 7:15. Yet this was more than just Schrott and Esposito, and the rest of the cast was excellent. 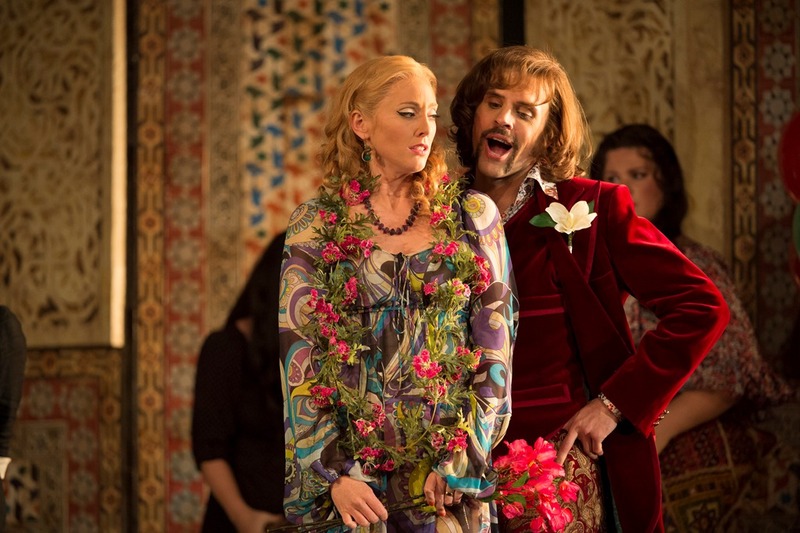 Ruxandra Donose came over beautifully in her Covent Garden debut as Donna Elvira, as did Kate Lindsey as Zerlina, who really fell for the Don at first meeting, smartly interposing herself between him and her betrothed Masetto, very well portrayed by Matthew Rose. 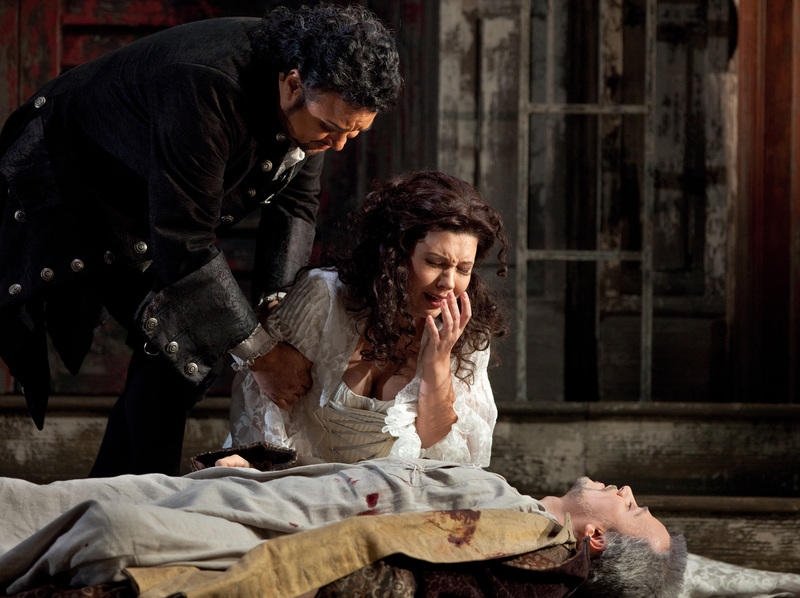 In her first Donna Anna at Covent Garden, Carmela Remigio brought charm and power to the role. 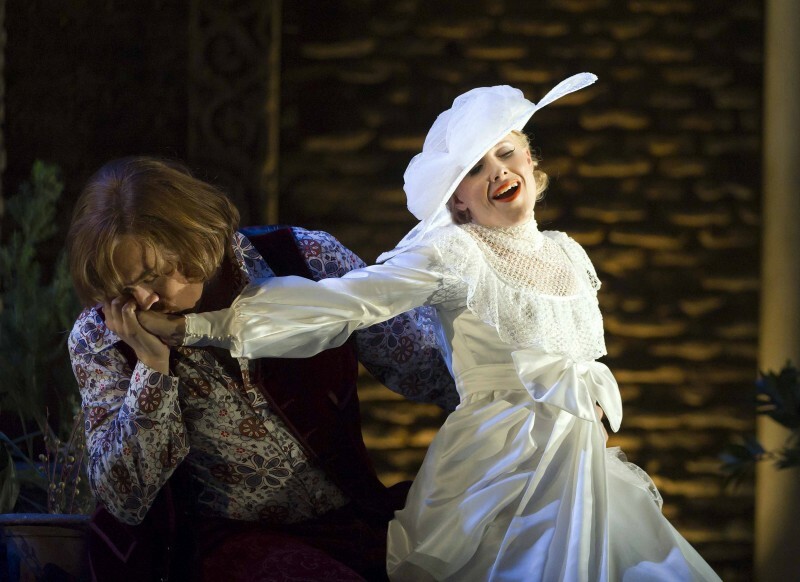 Her sudden realisation in Act I that Don Giovanni is her father’s murderer was very powerful, and her late Act II aria Non mi dir was charmingly delivered to her betrothed Don Ottavio. 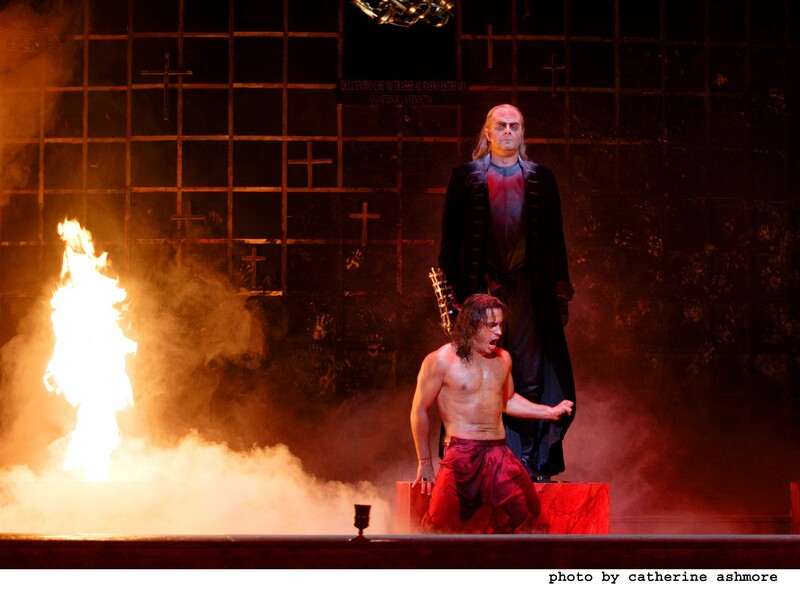 He was nobly sung and portrayed by Pavol Breslik, also making his role debut at the Royal Opera, and Reinhard Hagen sang the Commendatore with the presence he has shown before in this and other roles. The singers were very well served by this Francesca Zambello production, superbly revived by Barbara Lluch with attention to detail everywhere. 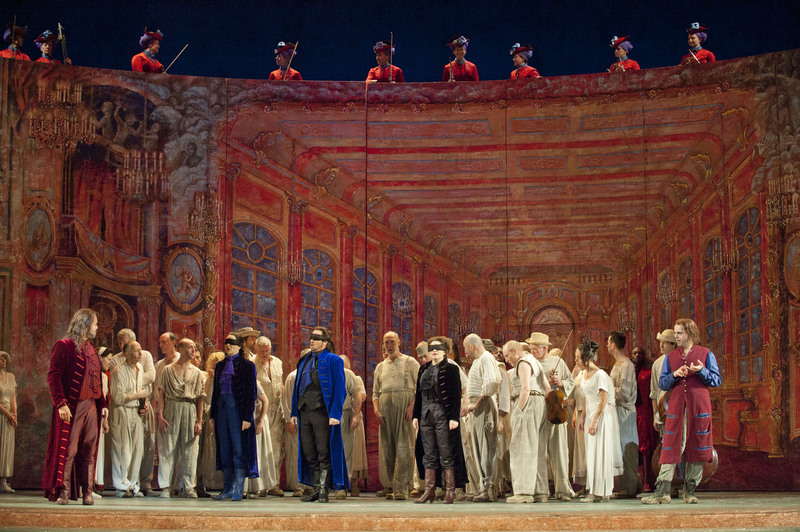 The dialogue between Giovanni and Leporello at the start of Act II was enlivened by the Don almost fainting as his servant says they have to leave the women alone, and it was then really played for laughs as he temporarily left the stage. After he had brutally shoved Leporello into a wall, and later beaten up Masetto leaving him lying on the ground, Zerlina came along to her betrothed and started slapping him, to great amusement from the audience. The joke about Leporello’s wife came off beautifully too, giving just the right degree of lightness before the statue made its ominous pronouncement. Then at the end, after Giovanni has been consumed by the flames of hell, Masetto offers his hand to Leporello and gives him a hug. A nice touch. The flames were so bright they lit up the whole auditorium, and Paul Pyant’s lighting was particularly good in showing the darkness at appropriate times. Finally, the orchestra was very well paced under the direction of Constantinos Carydis, and the dramatic moment just before the statue appears at the banquet came over very strongly. 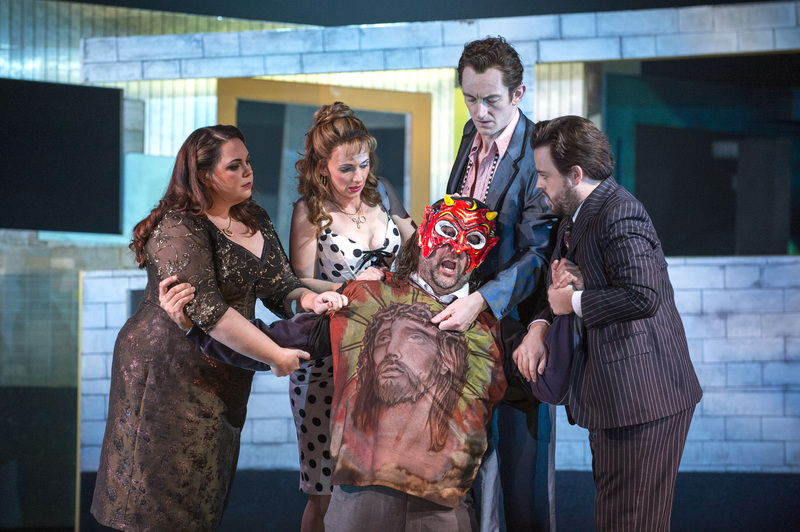 One cannot easily find Don Giovanni better performed than this, and Erwin Schrott is unmissable. Performances with this new cast continue until February 29 and seats are still available, though not in the Amphi — for details click here. 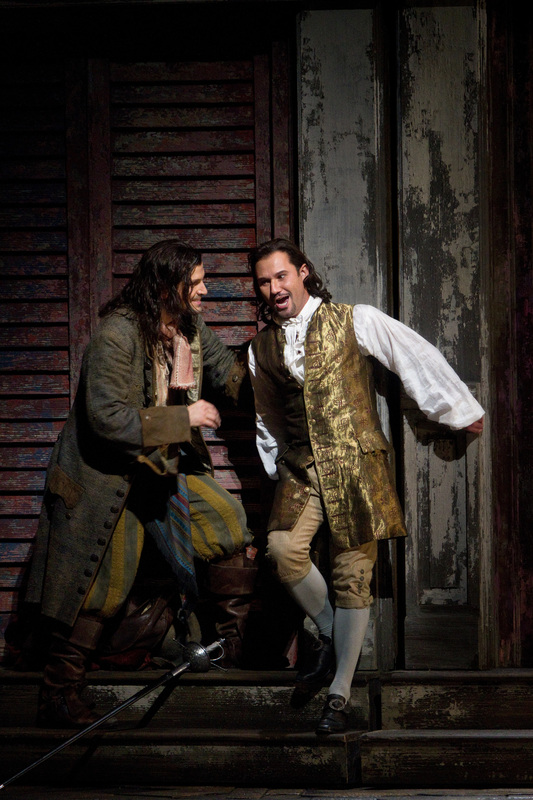 For Don Giovanni lovers it doesn’t get much better than this. The Met’s new music director Fabio Luisi gave a sparkling account of the overture, and the performance never looked back. 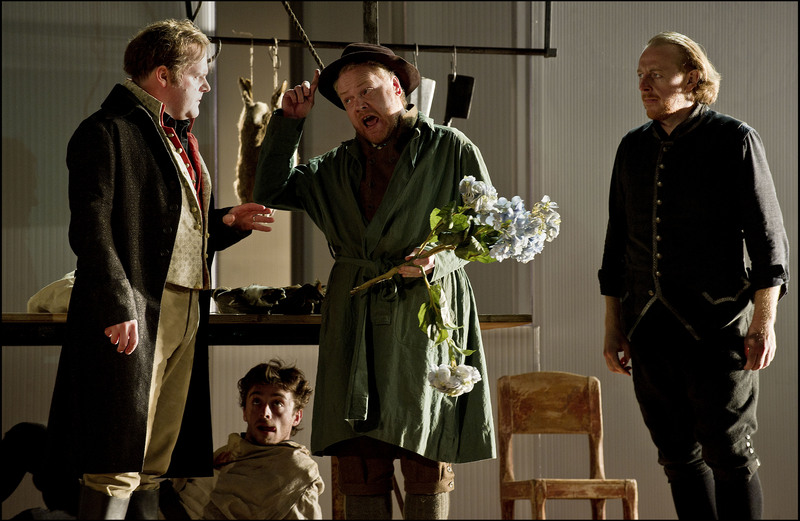 Mariusz Kwiecien combined noble aplomb with demi-world charm as the Don, and Luca Pisaroni was the perfect foil as his sidekick Leporello. Their early dialogue was superbly done, and Barbara Frittoli as the Don’s erstwhile lover Donna Elvira showed huge vulnerability in her portrayal. Later in Act I when Donna Anna suddenly realises Giovanni was the man who seduced her and killed her father she recalls going outside to stop him and her disingenuous, arditamente il seguo … remains curiously unquestioned by her would-be husband Don Ottavio. Marina Rebeka as Anna makes it sound as if she really is lying about her feelings, but Ramón Vargas continues to sing in loving adoration and concern, and his voice and breath control are remarkable. The peasant dancing at the party that Giovanni puts on for the wedding couple Zerlina and Masetto, was delightfully done, so far as one could see from the cinema screen, and Mojca Erdmann’s lyrical Zerlina was prettily flirtatious with the Don, and cleverly seductive with her husband-to-be. 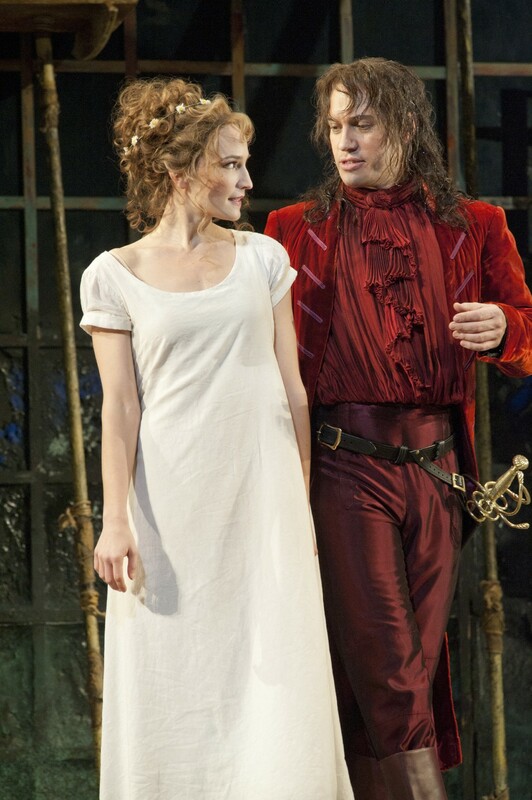 With Joshua Bloom as a red-blooded and anxious Masetto they made a superb couple, and her vedrai, carino … in Act II, after he has been beaten up, was beautifully delivered. As the Commendatore, Štefan Kocán gave a fine performance before his death in Act I, and then made a dramatic entrance at the end, with his bluish make-up helped by Paule Constable’s lighting. The flames are real and Kwiecien’s insouciant Don goes down like the captain of his ship, bowing to no-one, not even the powers of the afterworld. 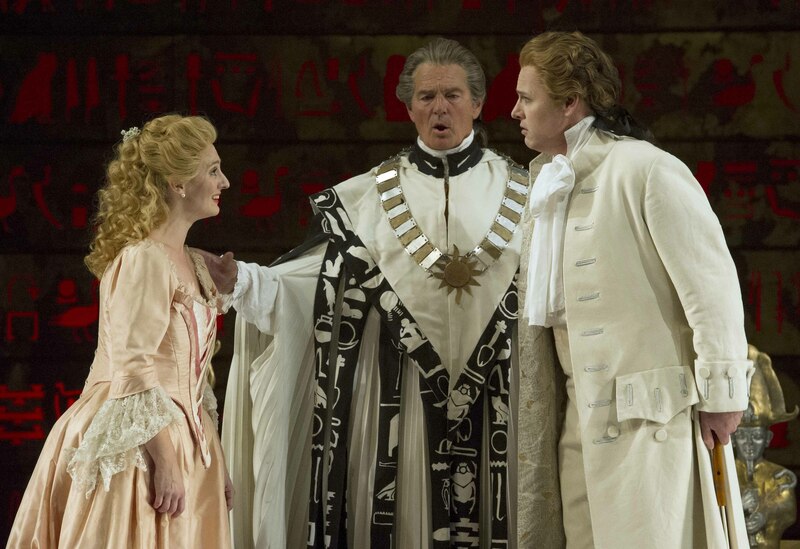 It’s always difficult to tell on the cinema screen, but this production by Michael Grandage looks very good indeed, and with Fabio Luisi keeping everything on track musically it was a wonderful Giovanni.